This is my first time reviewing an anime so bear with me but I think this show is totally worth the watch if you're looking for a fun, happy show with great music and characters. The animation is top notch, and the fights are really crazy and dramatic similar to kill la kill for example. The show isn't a masterpiece in my opinion, which is why I gave it four stars but please give it a try you may love it way more than I do! I guess crunchy roll removed it? If you're in a bit of a sad pit or just don't feel motivated, watch this. and even if you're not. I enjoyed the show, but will admit, the first 2 episodes are misleading compared to what the rest of the show is like. I was expecting a lot more action, and when you finally get it towards the end, it is nowhere near the caliber of the first episode. What caused me to watch the show was seeing a clip of the action on a facebook post, and the first 2 episodes left me looking forward to the episodes that came after. While I was let down by the episodes that came after, I don't regret watching the series. As for the ending, it was a huge let down. The show itself still left the biggest question unanswered, and it isn't one of those questions where you can create your own answer, so it is rather frustrating. 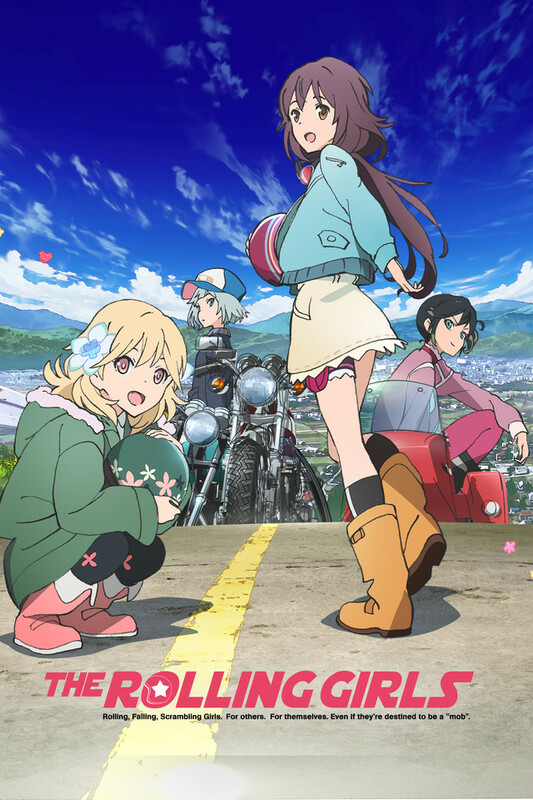 The Rolling Girls gets off to a pretty great start, and follows our band of misfits as they travel across a future Japan to collect a set of mysterious power gems. There's battles, comedy, and a series of conflicts of the week where people with wacky powers compete and struggle. Unfortunately, with only 12 episodes I was expecting something short and sweet, and for the most part that's what you get, but in the last 3 episodes it becomes clear they have a hard time trying to wrap everything up and the plot kind of goes out the window as the story collapses under the burden of needing to explain everything. It's mostly still worth a watch but just be prepared for a meh ending. As they say it's the journey that counts, and for most of the series the journey is pretty rad.